We're CamRadio, the radio station playing your real music mix! 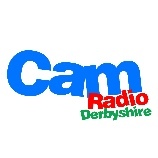 Whether you're all about the 80s or wanting to listen to the latest tunes, you'll hear it all here on CamRadio. We play on average around 15 tracks per hour, sure there may be other stations that play more music per hour, but we don't cut/pitch bend/play at double speed the music to fit more songs in per hour. Ultimatly we're a radio station that focuses on the music... which is a nice change.